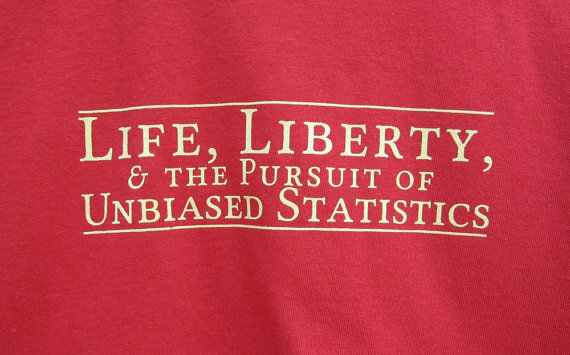 In particular, it is possible for the randomization to lead to exactly the same allocation as the nonrandom assignment … Many econometricians would insist that there is a difference, because the randomized experiment generates ”unbiased” estimates. But all this means is that, if this particular experiment yields a gross overestimate, some other experiment yields a gross underestimate. In an often cynical world, standard ﬁnancial and macroeconomic quantitative models give people the beneﬁ t of the doubt. Fundamental economic theory assumes the best of us, supposing that human beings are perfectly rational, know all the facts of a given situation, understand the risks, and optimize our behavior and portfolios accordingly. Reality, of course, is quite different. While a signiﬁcant portion of individual and market behavior can be modeled reasonably well, the human emotions that drive cycles of fear and greed are not predictable and can often defy historical precedent. As a result, quantitative models sometimes fail to anticipate major macroeconomic turning points. The ongoing debt crisis in Europe is the most recent example of an extreme event shattering historical norms. Once an extreme event occurs, standard models offer limited insight as to how the ensuing crisis could play out and how it should be managed, which is why policy responses can seem disjointed. The latest policy responses to the European crisis have been no exception. To understand and respond to a crisis like the one in Europe, perhaps we need to consider some new models that include the “human factor.” Economic historian Charles Kindleberger can offer some insight. 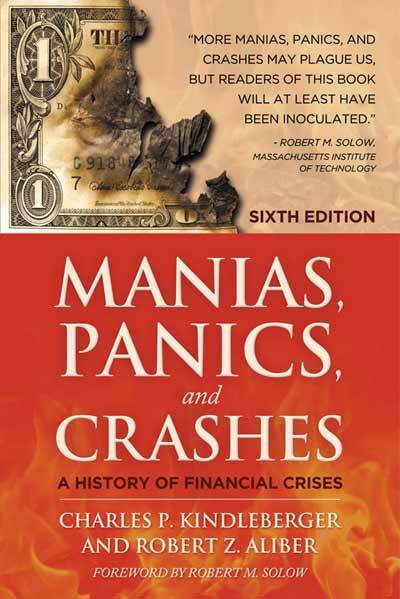 In his book Manias, Panics, and Crashes, Kindleberger explores the anatomy of a typical ﬁnancial crisis and provides a framework that considers the impact of the powerful human dynamics of fear and greed. Kindleberger’s descriptive process of the boom and bust liquidity cycle can help shed light on the current European sovereign debt saga, and perhaps illuminate whether we have in fact turned the corner on this ﬁnancial crisis. Kindleberger analyzed hundreds of ﬁnancial crises dating back centuries and found them to share a common sequence of events, one that followed monetary theorist Hyman Minsky’s model of the instability of a credit system. Fundamentally, the more stable and prosperous an economic structure appears, the more leverage and speculative ﬁnancing will build within the system, eventually making it highly vulnerable to a surprising, extreme collapse. Kindleberger provided the qualitative (as opposed to quantitative!) 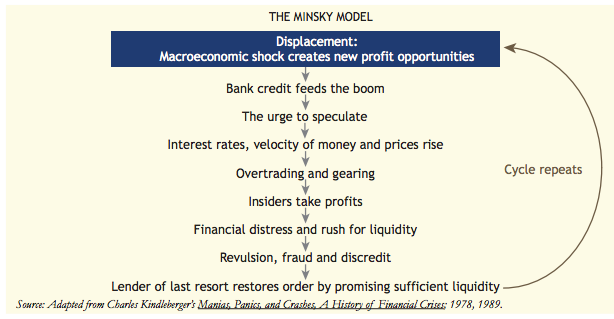 description of the Minsky Model, shown below, which is a useful snapshot of the liquidity cycle. It can be applied to Europe and any potential boom/bust candidate, including Chinese real estate, commodity prices, or investors’ recent love affair with emerging markets. Kindleberger famously dubbed this sequence a “hardy perennial,” probably because the galvanizing human conditions of fear and greed are more often than not prone to overshoot fundamental values compared to the behavior of a rational individual, which exists only in macroeconomic theory. For more on Minsky, listen to BBC 4 where Duncan Weldon tries to explain in what way Hyman Minsky’s thoughts on banking and finance offer a radical challenge to mainstream economic theory. 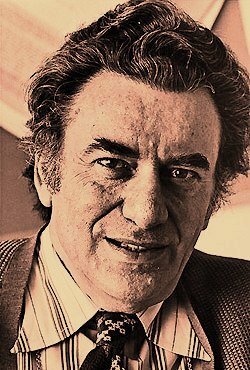 As a young research stipendiate in the U.S. thirty years ago, yours truly had the great pleasure and privelege of having Hyman Minsky as teacher. He was a great inspiration at the time. He still is. Economists across the spectrum were influenced by the extremist Friedman, I’d argue, because he always defended himself by being consistent with the beautiful idea of the Invisible Hand. By the time the financial crisis of 2008 hit, Americans did not feel themselves part of a great national enterprise, a democracy of opportunity and social justice. They were busy reinventing a modern materialistic individualism, unaware of and apparently not caring how lacking they were in community. The failure to sense an obligation to each other is the worst consequence of Friedman’s Folly. 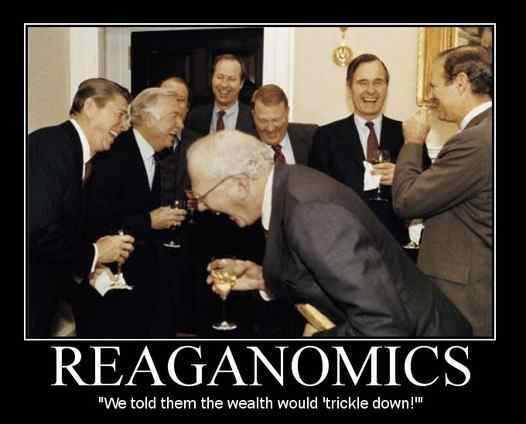 There have been intelligent critics of his economic ideas, but economists in general are Friedman’s handmaidens. 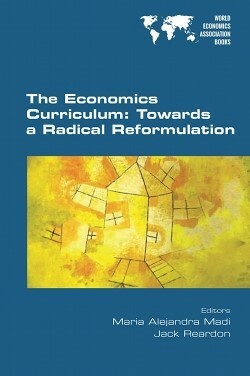 One of the main ideas underlining the book is that ”being an economist” in the XXI century requires a radical change in the training of economists and such change requires a global effort. A new economics curriculum is needed in order to improve the understanding of the deep interactions between economics and the political forces and the historical processes of social change. The need for trans-disciplinary and interdisciplinary work is highlighted. 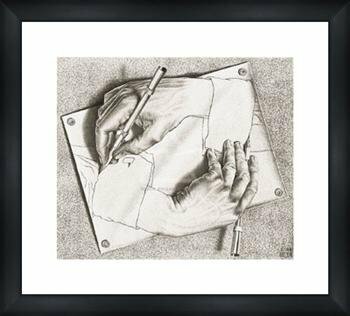 But I know I had a growing feeling in the later years of my work at the subject that a good mathematical theorem dealing with economic hypotheses was very unlikely to be good economics: and I went more and more on the rules — (1) Use mathematics as a short-hand language, rather than as an engine of inquiry. (2) Keep to them till you have done. (3) Translate into English. (4) Then illustrate by examples that are important in real life. (5) Burn the mathematics. (6) If you can’t succeed in 4, burn 3. This last I did often. I cannot offer a course in mathematics in this slim volume, but I will do what I can to hit a few of the highlights, when genuinely needed. I will issue one early warning: do not be intimidated by what you don’t completely understand. Statistical Science is not really very helpful for understanding or forecasting complex evolving self-healing organic ambiguous social systems – economies, in other words. Thomas Piketty’s book Capital in the Twenty-First Century has already attracted more serious attention than any economics book published in the last 75 years. 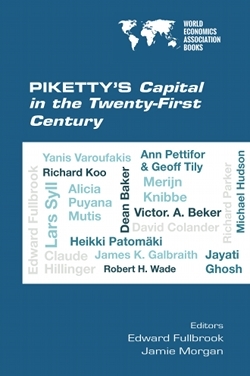 This collection of 17 essays by some of the world’s most prominent economists explores Piketty’s book in depth and from various vantage points. The cross-national variation we observe in government ownership is unlikely to be random by the very logic of the theories that are tested. Under the developmental perspective, this variation will be driven by the magnitude of the financial market failures that need to be addressed and the governments’ capacity to do so effectively. Under the political motive, the variation will be generated by the degree of “honesty” or “corruption” of political leaders. I show in this paper that the cross-national association between performance and policy will have a very different interpretation depending on which of these fundamental drivers dominate. Unfortunately, none of these drivers is likely to be observable to the analyst. In such a setting the estimated coefficient on state ownership is not informative about either the positive or the normative questions at stake. It cannot help us distinguish between the develop-mental and political views, because the estimated coefficient on government ownership will be negative in both cases. At last something worth watching for our youngsters — a website on Keynes for kids! It is generally recognised that the Ricardian analysis was concerned with what we now call long-period equilibrium. Marshall’s contribution mainly consisted in grafting on to this the marginal principle and the principle of substitution, together with some discussion of the passage from one position of long-period equilibrium to another. But he assumed, as Ricardo did, that the amounts of the factors of production in use were given and that the problem was to determine the way in which they would be used and their relative rewards. 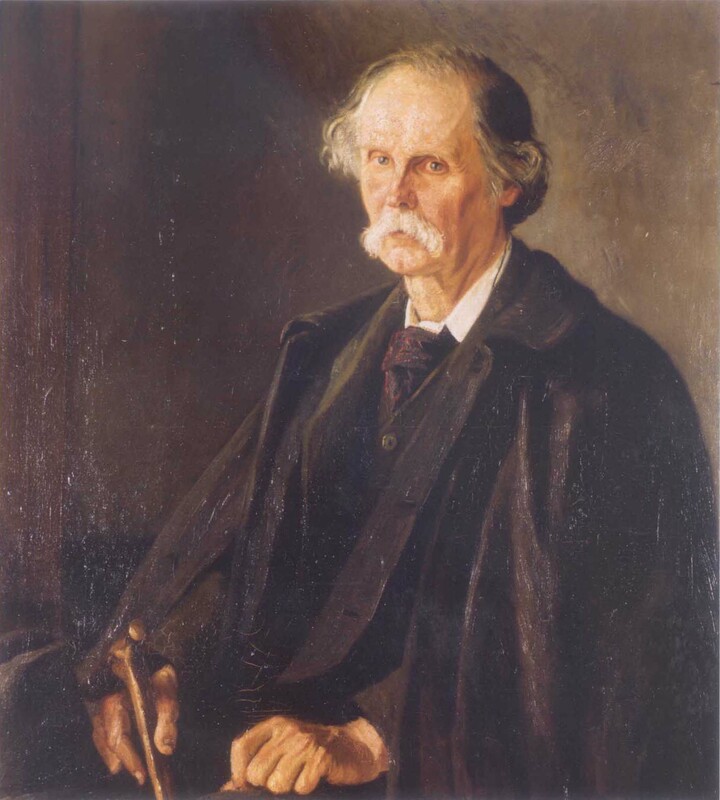 Edgeworth and Professor Pigou and other later and contemporary writers have embroidered and improved this theory by considering how different peculiarities in the shapes of the supply functions of the factors of production would affect matters, what will happen in conditions of monopoly and imperfect competition, how far social and individual advantage coincide, what are the special problems of exchange in an open system and the like. But these more recent writers like their predecessors were still dealing with a system in which the amount of the factors employed was given and the other relevant facts were known more or less for certain. This does not mean that they were dealing with a system in which change was ruled out, or even one in which the disappointment of expectation was ruled out. But at any given time facts and expectations were assumed to be given in a definite and calculable form; and risks, of which, though admitted, not much notice was taken, were supposed to be capable of an exact actuarial computation. The calculus of probability, though mention of it was kept in the background, was supposed to be capable of reducing uncertainty to the same calculable status as that of certainty itself; just as in the Benthamite calculus of pains and pleasures or of advantage and disadvantage, by which the Benthamite philosophy assumed men to be influenced in their general ethical behaviour. By ‘uncertain’ knowledge, let me explain, I do not mean merely to distinguish what is known for certain from what is only probable. The game of roulette is not subject, in this sense, to uncertainty; nor is the prospect of a Victory bond being drawn. Or, again, the expectation of life is only slightly uncertain. 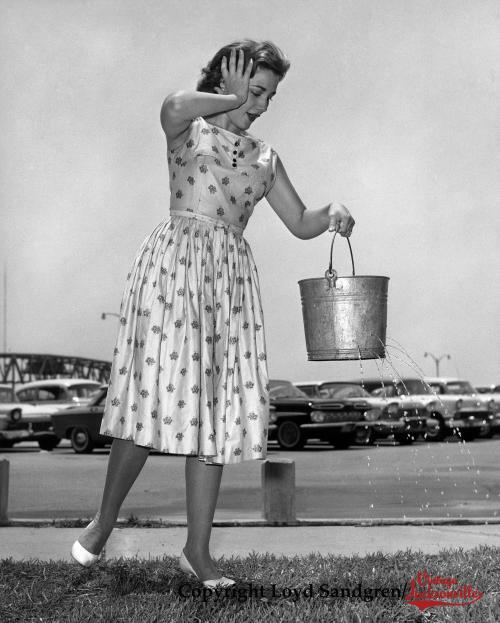 Even the weather is only moderately uncertain. The sense in which I am using the term is that in which the prospect of an European war is uncertain, or the price of copper and the rate of interest twenty years hence, or the obsolescence of a new invention, or the position of private wealth-owners in the social system in 1970. About these matters their is no scientific basis on which to form any calculable probability whatever. We simply do not know. 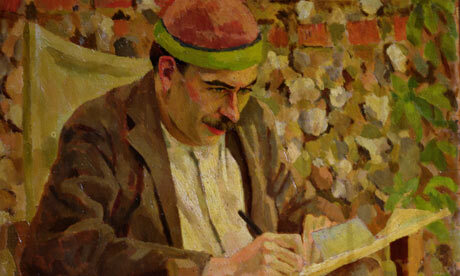 J M Keynes ”The General Theory of Employment” Quarterly Journal of Economics, February 1937. 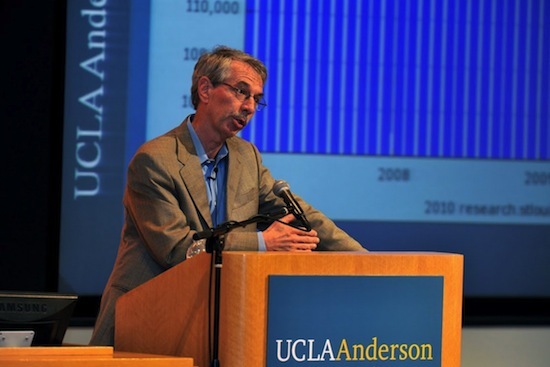 While the idea that there is a trade-off between equality and efficiency as Okun put forth in 1975 may have been a widely accepted idea at the time, it is not the case that theory points entirely to this conclusion … However, strong simplifying assumptions limit the utility of the predictions from many of these theories and economists have been developing new approaches to account for a more realistic level of complexity … It is not the purpose of this paper to summarize this sub-field of economics, yet it is critical to understand that inequality may not always provide sufficient incentives for people to work harder despite the implications from some branches of theory. 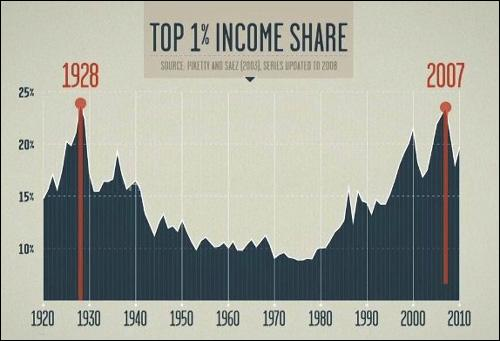 These findings have relevant implications for policymakers concerned about slow growth and rising inequality. On one hand it points to the importance of carefully assessing the potential consequences of pro-growth policies on inequality: focusing exclusively on growth and assuming that its benefits will automatically trickle down to the different segments of the population may undermine growth in the long run inasmuch as inequality actually increases. On the other hand it indicates that policies that help limiting or — ideally — reversing the long-run rise in ineqauality would not only make societies less unfair, but also richer. The story seems pretty clear to me (but, admittedly, this is all speculation, just amateur psychology on my part): in general, people are uncomfortable with not knowing and would like to use statistics to create fortresses of certainty in a dangerous, uncertain world. This footnote is a striking (to me) example of what Tversky and Kahneman called the fallacy of “the law of small numbers”: the attitude that patterns in the population should appear in any sample, in this case even in a sample of size 1. Even according to their own theories, Clarke and Ayres should not expect their model to work in every case! The above paragraph indicates that they want their theory to be something it can’t be; they want it to be a universal explanation that works in every example. Framed that way, this is obvious. My point, though, is that it appears that Clarke and Ayres were thinking deterministically without even realizing it. The impact of inequality on growth stems from the gap between the bottom 40 percent and the rest of society, not just the poorest 10 percent, the OECD report said. Improvements and increasing access to public services like good education, training and healthcare, as well as cash transfers, are essential to generate greater equality of opportunities in the long run. The report also found no evidence that redistributive policies such as taxes and social benefits harm economic growth, provided the policies are well designed and implemented. 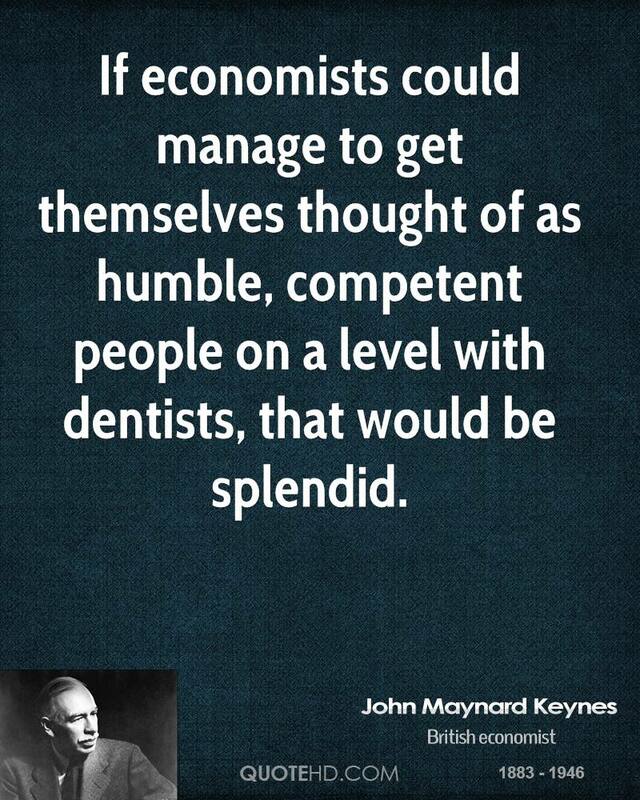 Economists — humble and competent people? 10 december, 2014 kl. 18:22 | Publicerat i Economics | Kommentarer inaktiverade för Economists — humble and competent people? to its philosophical origins – economics is a very moral science after all. Unlike atoms and molecules, the “objects” upon which economists seek to act have a perspective on the world, too. Human life is messy, never to be grasped in its full complexity or shaped according to a plan: people act in unanticipated ways, politics makes its own demands, cultures (which economists do not understand well) resist. 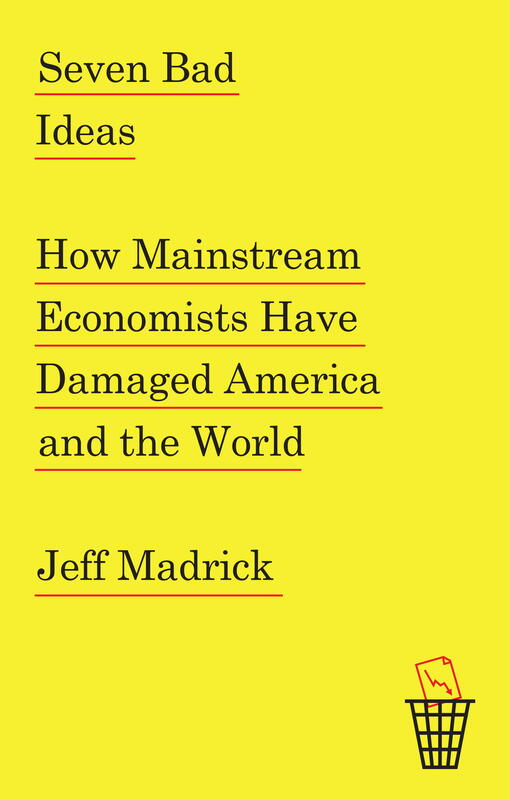 Thus the very real success of economists in establishing their professional dominion also inevitably throws them into the rough and tumble of democratic politics, forcing them to try to manage a hazardous intimacy with economic, political, and administrative power. It takes a lot of self-confidence to put forward decisive expert claims in that context. That confidence is perhaps the greatest achievement of the economics profession — but it is also its most vulnerable trait, its Achilles heel. The problem is that the new theories, the theories embedded in general equilibrium dynamics of the sort that we know how to use pretty well now—there’s a residue of things they don’t let us think about. They don’t let us think about the U.S. experience in the 1930s or about financial crises and their real consequences inAsia and LatinAmerica. They don’t let us think, I don’t think, very well about Japan in the 1990s. We mayn be disillusioned with the Keynesian apparatus for thinking about these things, but it doesn’t mean that this replacement apparatus can do it either. It can’t. In terms of the theory that researchers are developing as a cumulative body of knowledge—no one has figured out how to take that theory to successful answers to the real effects of monetary instability. Some people just deny that there are real effects of monetary instability, but I think that is just a mistake. I don’t think that argument can be sustained.